As you see above, there are 4 sets of numbers separated by dots. That’s why a few companies came up with the idea of “SEO Hosting”. This is where they will sell you hosting on completely different sets of class C ip addresses. People often use this to hide their mini site networks, blog “farms” or cross linking networks. Keep in mind that Google can also see your contact information for your domain. So if you go through all the time and expense of setting up this type of hosting it would be silly to use all the same contact information on your entire network. That stands out like a sore thumb to Google. Internet Buttons is a webtool that makes the Internet super easy. You can set up a page of personalised Buttons that click through to your favourite sites or services. Your personalised page of Buttons is saved on its own personalised URL that you can access from any computer. There are also loads of helper bars, tips and advice to explain how to use it and how to get more out the web. It removes all the complicated bits of the internet and makes it easy to keep going back to the places you want to go to. It’s the perfect thing for anyone new to the net or is just a bit web-rubbish. So if you know any one flummoxed by tweets, links and pokes or who’d appreciate learning how to email, Skype, or shop online, why not set them up with a page of Internet Buttons today? The Internet Corporation for Assigned Names and Numbers (ICANN) said it will start accepting applications for new domain names from January 12 to April 12 next year, a move that will give organisations more options for branding themselves. ICANN said internet domain names can consist of any word or words, in any language and any script, including Chinese or Japanese, giving unlimited options to internet users. Presently, it allows 22 suffixes such as .net, .com and .org. 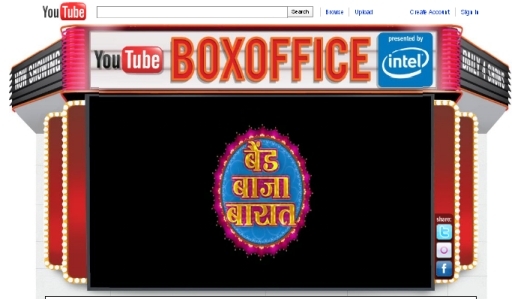 All netizens in India have more reasons to rejoice as YouTube is introducing a new destination for all the movie buffs titled ‘YouTube Box Office’. This exclusive channel will feature a premium block buster movie every month absolutely free of cost. Kick-starting the initiative will be the latest hit ‘Band Baaja Baaraat’, starring Ranveer Singh and Anushka Sharma. The YouTube Box Office channel will also feature other popular movies which users can watch for free from the YouTube catalogue of movies which includes over 1,500 titles including regional language films. 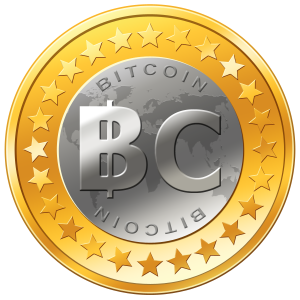 The channel will be available to all users in India and will be IP blocked for users in other countries. Intel will be the exclusive presenting sponsor for the channel in India. YouTube will collaborate with its partners in India on a revenue share basis to bring more of such premium content on YouTube Box Office every month. 18 months ago, Groupon didn’t exist. Today, it has over 70 million users in 500-odd markets, is making more than a billion dollars a year, has dozens if not hundreds of copycat rivals, and is said to be worth as much as $25 billion. What’s going on here? There’s obviously something clever and innovative behind Groupon — but what is it? Given that customers with Groupons are saving lots of money on goods and services, how can this possibly be good for merchants? Is there a catch somewhere? There are significant network effects at play here: The more people Groupon signs up, the more targeted its deals can be. And there’s another social aspect to Groupon’s success I’ll come to in a minute. But first it’s worth looking at the innovation in the name of the company: the idea that coupons only become activated once a certain minimum number of people have signed up for them. This is essentially a guarantee for the merchant that the needle will be moved, that their effort won’t be wasted. With traditional advertising or even with old-fashioned coupons, a merchant never has any guarantee that they will be noticed or make any difference. But with a Groupon, you know that hundreds of people will be so enticed by your offer that they’re willing to pay real money to access it. That kind of guaranteed engagement is hugely valuable, and more or less unprecedented in the world of marketing and advertising. Then there’s the twist in the “coupon” part of the name. No longer do merchants pay money for the privilege of giving coupons away for free in local newspapers. Instead, they receive money — half of the total paid up front. There’s something extremely gratifying about being paid to offer discounts to new customers.